I don’t think I’m underselling it to say that the 11.1 release is crucial to IBM and the future of Cognos Analytics. Luckily the hardworking folks up in Ottawa appear to have delivered. In this quick Cognos 11.1 overview I’ll cover the major new features of the release. Also, look forward to a full review of Cognos 11.1 and some guidance on how to modernize your Cognos deployment in the coming weeks. Reporting updates center on improving the user experience by redesigning navigation and automating the most common layout tasks with drag-and-drop formatting. 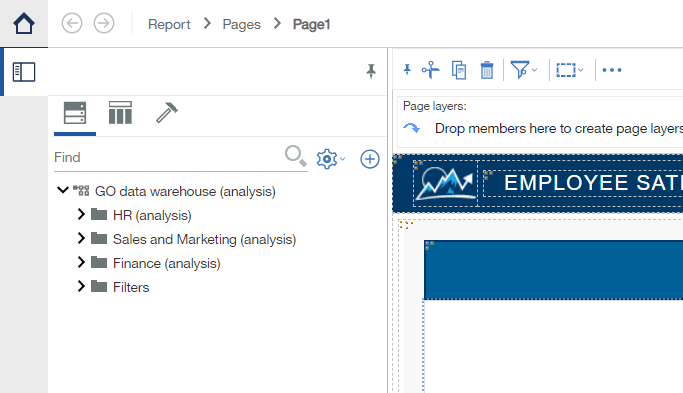 These enhancements make report creation significantly easier for novice and advanced authors alike while retaining the pixel-perfect flexibility that Cognos professionals demand. 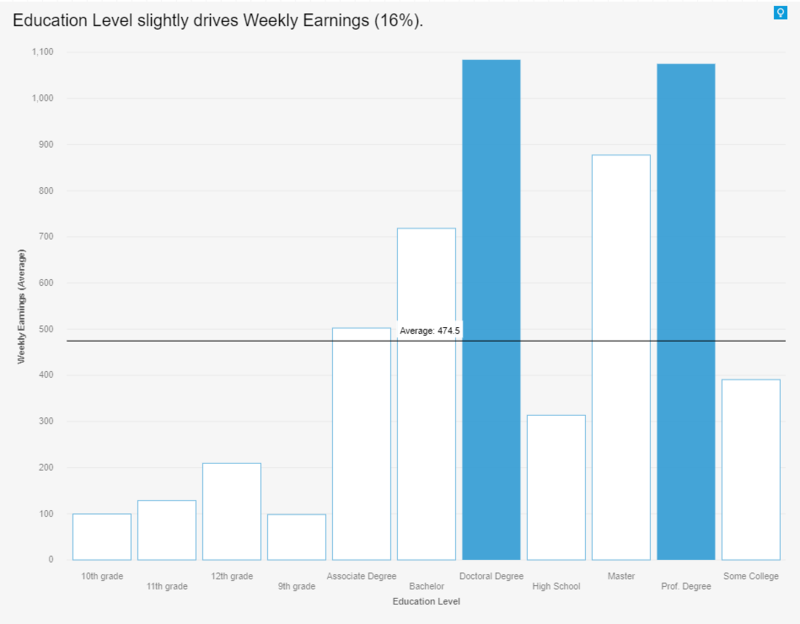 Contextual data can be added to a visualization, which allows more advanced filters. The new breadcrumb navigation structure is a breath of fresh air. Dashboards receive a ton of attention in Cognos Analytics 11.1, knocking off many of the most requested enhancements, greatly improving customizability and integrating new AI and advanced analytics capabilities. These changes turn what was already a very capable self-service data discovery and visualization suite into a powerful, easy to use AI enhanced insight engine that end users will love. Upgraded layout options, such as absolute or relative positioning and snap to grid or object. Dashboard insights give you instantaneous statistical analysis at a single click! Cognos Analytics 11.1 significantly modernizes and enhances the Data Modules, Data Sets and uploaded file capabilities of Cognos, with a focus on making data management easier and more performant. Data Modules in particular receive a host of data modeling and blending features that meet or exceed the capabilities of Framework Manager in almost every respect. Admin changes for Cognos Analytics 11.1 focus on two areas: Migrating functionality from the Cognos 10 Administration screen to the Cognos 11 Manage menu, and adding new administration functionality. These enhancements make Cognos easier to govern and provide features like user and distribution list management that used to require outside software. 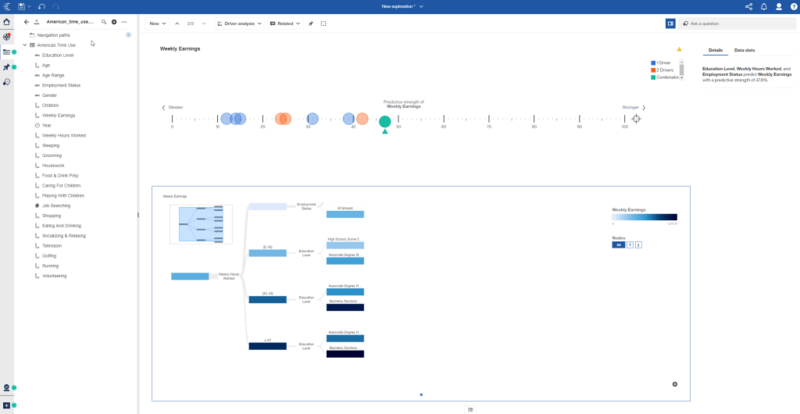 The AI assistant is one of the major new features of Cognos 11.1. accessible from Dashboards and Explorations, the AI assistant provides a chat-based exploration experience designed to quickly uncover relationships and statistical anomalies within data and automatically build visualizations for use in Cognos. The new AI assistant makes interacting with Cognos easier than ever! Explore, the most exciting new feature of Cognos Analytics 11.1, brings the automatic insights, easy visualization and natural language query capabilities of the now deprecated Watson Analytics into Cognos. A new Exploration will automatically suggest starting points for analysis, visualize relationships in your data, provide key driver analysis and surface interesting visualizations. Explore provides all those juicy Watson Analytics capabilities in a cozy Cognos wrapper. I hope this Cognos 11.1 overview has been helpful, and I hope you’re impressed with what you’ve seen so far – though I’ve only scratched the surface here. If you’re struggling to understand how to implement these new features, I’ve got a post coming up next week that will help. And as always, reach out to me directly with any questions!